Have you been thinking about straightening your teeth for a while? Are you self-conscious about your smile and want to improve the way it looks? Well, now is the time to do something about it, with the incredible New Year’s offer we have on Invisalign treatment at Jiva Dental. There’s never been a better time to begin Invisalign treatment with Jiva Dental – because for a limited time only, we’re offering £760 off treatment! What better way to start the New Year than with teeth straightening treatment that will give you a smile you can always be proud to show off? You can even take advantage of our interest free finance plan to spread the cost of your treatment! This offer on Invisalign treatment is only available until the 31/1/15 so if you want to get the perfect smile, treat yourself this Christmas. Call us on 0208 546 0011 or use the contact form to get in touch with our team and book in your completely FREE Consultation. Our £760 off treatment offer includes all that’s needed for your treatment. There are no hidden surprises or additional costs. You even get end of treatment refinements completely free of charge to make sure you’re 100% satisfied with how your teeth look. And, to make sure your smile looks its absolute best, you will receive free day white teeth whitening worth £350 after your treatment! 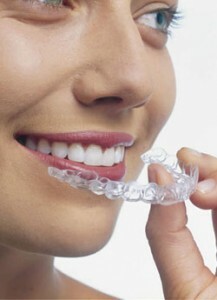 Invisalign is a revolutionary way to straighten your teeth and get the perfect smile you’ve always wanted, without the need for big, bold metal train tracks across your teeth, or unsightly and uncomfortable wires in your mouth. They’re ideal for anyone who has wanted to have straight teeth but been put off by the thought of wearing braces that people might notice. We use 3D computer technology to accurately scan your teeth and display how your teeth will re-align over the period of treatment. Clear plastic aligners are then produced to fit snuggly over your teeth and gently move them into alignment week by week. The treatment usually takes between six months and two years, but it’s worth it when you end up with the smile you’ve always wanted! The aligners are completely removable too so you can pop them in and out whenever you want for eating, drinking and cleaning your teeth. Visit our Invisalign treatment page to learn more about the process. Call us on 0208 546 0011 or contact us online to take advantage of the £760 off Invisalign treatment offer. Remember, it’s only available until the 31/1/15.